TALLAHASSEE, Fla. — Devon Hall scored 17 points and No. 2 Virginia rallied in the second half to beat Florida State 59-51 at Donald L. Tucker Center in Tallahassee on Wednesday night. 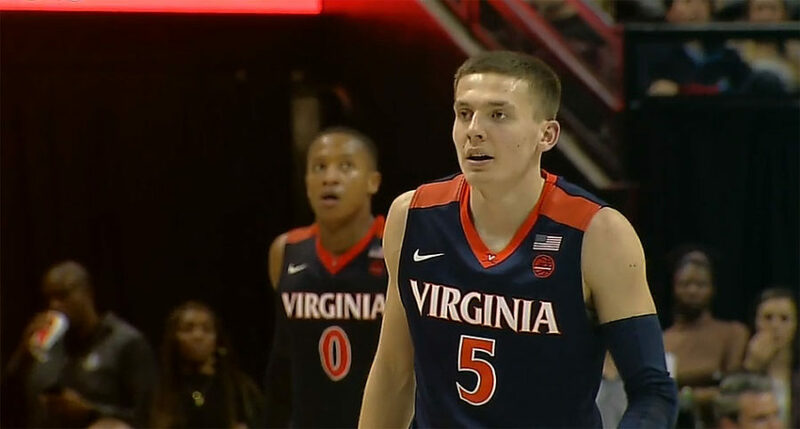 Ty Jerome added 15 and five rebounds and Kyle Guy scored 10 of his 13 points in the second half for the Cavaliers (23-1, 12-0 Atlantic Coast Conference), who found back from a 10 points halftime deficit to stay unbeaten in conference play. “They were hitting tough shots and slipping a lot of ball screens in the first half,” said Guy. Only MJ Walker, who scores 10 points reached double-digit scoring for Florida State, which lost two of the last three games. Phil Cofer was the next best scorer for the Seminoles (17-6, 6-6) with nine points. Florida State led by as many as 11 points in the first half and led for 32:26, but was unable to turn that into a win against the Cavaliers, who owns the nation’s No. 1 scoring defense this season. As a team, the Seminoles shot almost 48 percent in the first half and made five 3-pointers. However, the home side shot just 1-for-10 from long-range in the second half and 7-of-22 from the field overall, which opened the door for Virginia to come back and secure the win after shooting 45 percent in the second 20 minutes of the contest. Florida State coach Leonard Hamilton said after the defeat: “If there’s one thing about the ACC, you can’t have a pity party. You got to learn from your shortcomings. Virginia will next play host to Virginia Tech on Saturday, hoping to complete the season sweep, following a 78-52 victory in the first meeting 78-52 on Jan. 3. Meanwhile, Florida State will make the trip to South Bend, Indiana to take on Notre Dame on Saturday.